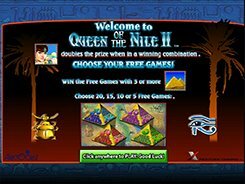 This is a 5-reel 25-payline video slot that is a new edition of the first Queen of the Nile slot from Aristocrat. 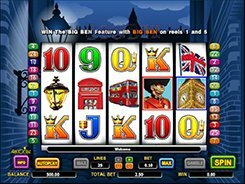 Both games were released at the beginning of the 2000s, but the latest version has more paylines, more advanced free spin options and a bit different design. The symbol set is identical to the first game and includes playing card symbols, Scarab, Eye of Horus, Pyramid, Gold Ring, etc. 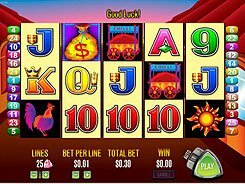 A total bet is adjusted from $0.5 to $100 per spin. The Cleopatra symbol is a wild that substitutes for other icons and awards the slot’s biggest prize of $12,000 for five of a kind. 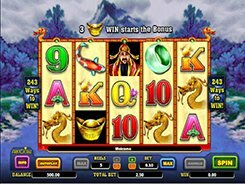 Besides, a wild also serves as a multiplier doubling any wins it is involved in. 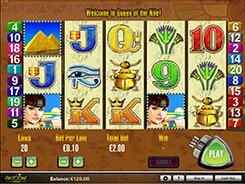 A scatter is depicted by the Pyramid symbol, with these three starting the free games feature with four different playing modes to choose from: 20 free spins with all wins doubled, 15 FS at x3, 10 FS at x5, and 5 FS at x10. 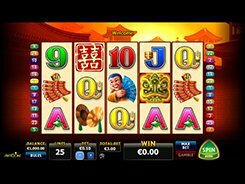 The slot offers the Gamble feature that is available after any winning spin in a regular game.